Cat's claw (Uncaria tomentosa) is a woody vine native to the Amazon rainforest and other places in South and Central America. The bark and root have been used by South Americans for centuries to treat health problems including arthritis, stomach ulcers, inflammation, dysentery, and fevers. It was also used as a form of birth control. Test tube studies indicate that cat's claw may stimulate the immune system, help relax the smooth muscles (such as the intestines), dilate blood vessels (helping lower blood pressure), and act as a diuretic (helping the body eliminate excess water). 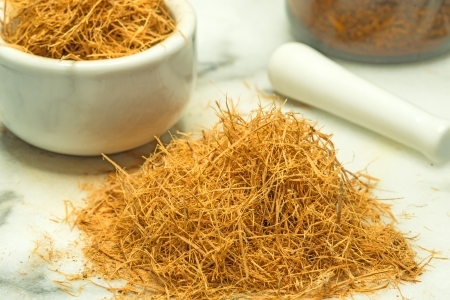 Cat's claw also has antioxidant properties, helping the body eliminate particles known as free radicals that damage cells. Scientists believe free radicals to contribute to health problems, including heart disease and cancer. Antioxidants can help neutralize free radicals and may reduce, or even help prevent, some of the damage they cause. Some early studies suggest cat's claw may kill tumor and cancer cells in test tubes.